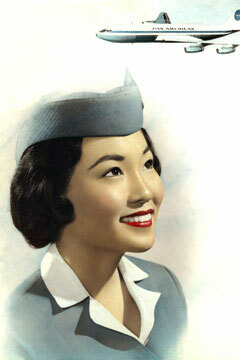 A portrait of Charlotte Yamashiro Nishimura, a flight attendant for Pan Am from 1957 to 1986. IN 1955, Pan American World Airways ordered the largest fleet of commercial jet aircraft in the world. 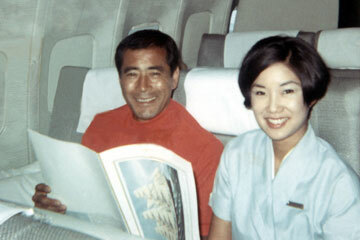 Along with the expansion, the company recruited Japanese-American women to serve as flight attendants on Pan Am's Japan-bound flights and, eventually, flights around the globe. The history of the first Japanese-American stewardesses is chronicled in an exhibition at the Japanese Cultural Center of Hawaii titled "Airborne Dreams: Japanese American Flight Attendants and the Development of Global Tourism in the Pacific." 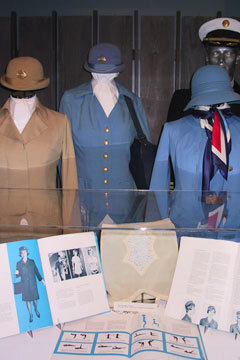 The show, which includes photographs, displays of uniforms and Pan Am memorabilia, and videos of interviews with the women, runs through Dec. 15. On Saturdays the center is offering docent tours of the exhibit from 10 a.m. to noon, led by former Pan Am attendants. Admission is free. The Japanese Cultural Center of Hawaii is at 2454 S. Beretania St. "Airborne Dreams" is on display in the center's community gallery. Gallery hours are 10 a.m. to 4 p.m. Tuesdays to Saturdays. For more information, call 945-8733, visit www.jcch.com or e-mail info@jcch.com. 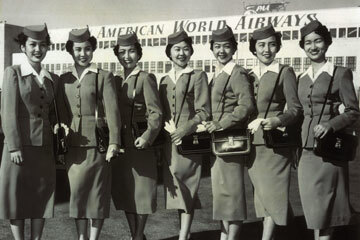 The first Japanese-American stewardesses hired by Pan American World Airways: Katherine Shiroma Araki, left, Ruby Mizuno Nishimi, Cynthia Tsujiuchi, Marian Masako Tagawa Murakami, May Hayashi Tsukiyama, Jane Toda Sakamoto and Louise Otani Fu. At the opening of the "Airborne Dreams" exhibit, former flight attendant May Hayashi Tsukiyama, left, one of the original stewardesses for Pan Am, shows that she still fits in the uniform she wore nearly 50 years ago. Pictured with her is Jane Noe, another former Pan Am attendant. 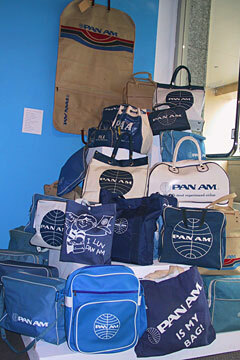 A display shows how the famous Pan Am bag evolved through the years. Pan Am uniforms from 1955 to 1972 included a mandatory girdle. On some flights, stewardesses met famous people. Charlote Katsunuma Larson poses with Japanese actor Toshiro Mifune.